We have a huge selection of knives. 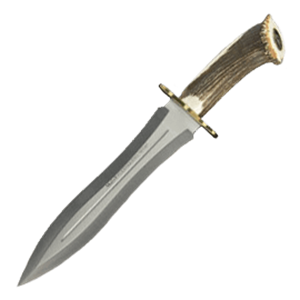 We offer a wide variety of boot knives, combat knives, bowies, hunting knives, folding knives, machetes, push knives, training knives, World War knives and throwing knives. We carry only the finest knives from around the world. These functional knives are made by Hanwei, CAS Iberia, Windlass and Cold Steel. Our knives are great for hunting, camping, self defense, practicing and are great collectible knives. Whatever the situation may be, you always need a good quality knife, and you are sure to find one here. 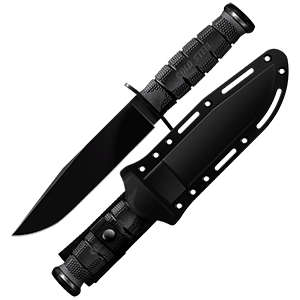 Boot knives are knives that are concealed in a boot for a backup weapon to be carried. Boot knives are mostly small fixed blade knife and about 3 to 5 inches in length. Boot knives can also be carried under the pant leg, tucked beneath the belt or can even be carried on a chain or piece of parachute cord around the neck. We carry affordable boot knives that are great for self defense, military or law enforcement. We carry a large selection of boot knives to suit just about any taste. The Bowie period in American History was a turbulent one. It was born on a sandbar on the Mississippi River near Natchez, Mississippi in 1827. A political duel became a free-for-all. James Bowie, who was an observer at the duel, was shot and stabbed through with a sword cane, but he managed to dispatch his major opponents with a Bowie knife, even though his wounds were so grave that his life hung by a thread for weeks afterwards. The infamous Sandbar Fight, as it was later called, took the imagination of the country by storm. Newspapers far and wide copied the stories from the Natchez papers and soon every man wanted a knife like Bowies - a Bowie knife. American cutlers (many of them surgical instrument makers) and Sheffield, England cutlers began to make Bowie knives to fill the market demand. The Bowie Period only lasted about forty years - from the Sandbar Fight to the end of the Civil War. When pistols became reliable and plentiful the size of the knife shrank. 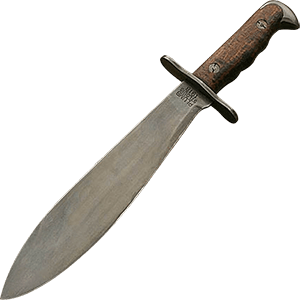 By the 1870s and 1880s, the Bowie knife was used as a hunting knife much more than as a primary defense arm. The Bowie was made in a period of hand labor, the industrial revolution had not touched the cutlery trades. All the work on the old knives was by hand, with an artisans craft skills that were learned during a long apprenticeship to master forgers, grinders and cutlers. We carry popular bowies from manufactures Cold Steel, C.A.S. Iberia and Hanwei. All our bowies are great for hunting, survival, camping as well as collectibles. 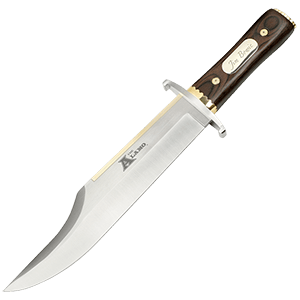 If you are a camper or bowman then you need a good quality hunting knife. These blades are not just beautiful, they are tough! Hunting knives also hold an amazing edge and are easy to sharpen. Hunting knives are useful for all kinds of utility chores like field dressing, skinning or even quartering big game. They have a sharp, yet sturdy point for piercing and a moderately curved blade with an extra thin edge that facilitates cutting, slashing, chopping and shearing strokes. Get your quality and durable hunting knives. This knife category is every knife that we carry that does not fit into any other category. These knives are all functional and very durable for any use. 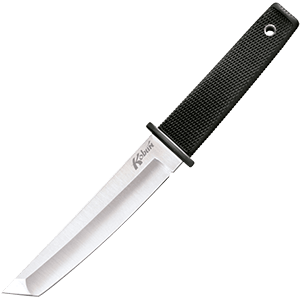 We carry both fixed blade knives and folding bladed knives. Some of the blades are not your traditional straight blades neither are the handles of some of these knives. These knives are great for cutting, skinning, and piecing your prey. Take these functional knives camping, hunting, self defense or everyday use. 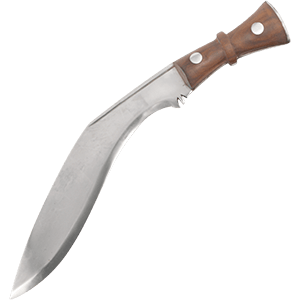 The kukri knife is based on a historical Nepalese knife style that was used as both a weapon and a tool, made famous as the weapon of choice used by the Nepalese Army and the Gurkha regiments throughout the world. This traditional weapon is now available in a variety of styles here. 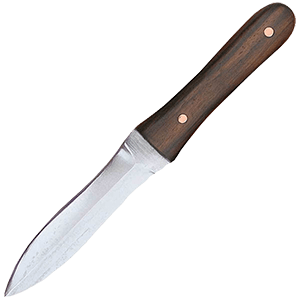 We offer a range of kukri knives that includes both decorative and functional pieces, kukri knives for ceremony, kukri knives for combat, and kukri knives for survival use. Our ornate kukri make fantastic display pieces or ritual tools, and our tactical kukri are ideal for hunting, wilderness survival, or use in self-defense or combat. Many of our kukri knives are also great for everyday utility use. Great for slashing, chopping, and piercing, this multipurpose weapon is a must-have for collectors and makes an interesting addition to any arsenal. A machete is like a large cleaver that is normally used to cut through thick vegetation. 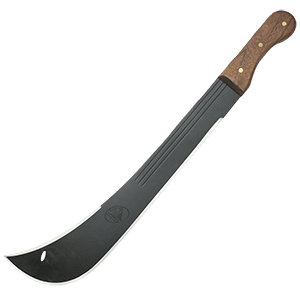 If you are a camper or hunter a machete is the perfect tool to cut through that thick forest. We have several types of machetes that are fully functional. We carry Latin machetes, barong machetes, bolo machetes, bowie machetes, and heavy machetes just to name a few of them. Machetes can also be used as an offensive weapon as well as a tool for any activities that you desire. 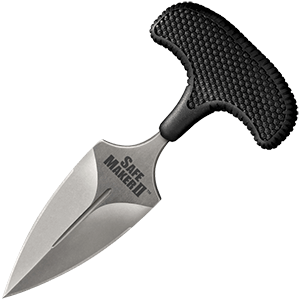 A push knife also known as a push dagger is a short knife with a "T" handle. The push knife is designed to be grasped in the hand so that the blade protrudes from the front of the fist. The push daggers were used for perforating armour or penetrating chain mail. Push daggers were issued as trench knives during World War I and World War II. The push knives are not only used for fighting and are great for cutting tasks because they have great leverage while using a small blade. The functional tanto is a Japanese dagger, strictly one with a guard and has all of the fittings used on swords. 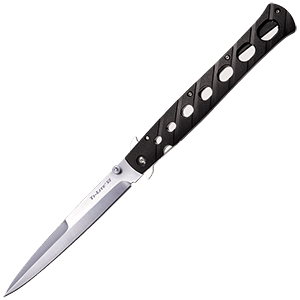 The tanto blades rarely exceed 12 inches in length and usually accompanying a katana. These tantos combine the best attributes of a traditional tanto with modern features that make this an eminently practical tool. The tantos blades are shaped just like the Japanese tantos. All of our Tantos feature a deep lustrous satin finish on the hollow ground blade bevels and a contrasting line grain finish on the blade flats. 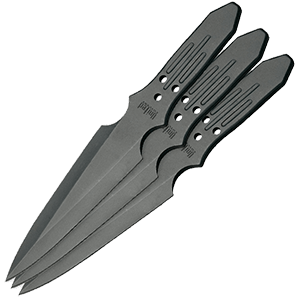 Our throwing knives are super sharp that are well balanced so every throw is even. What is great about these knives is that they are such good quality, but are so affordable. Throwing knives are great for self defense when you do not want to get to close to your attacker. Throwing knives are commonly made of a single piece of steel or other material, without handles, unlike other types of knives. The knife has two sections, the blade which is the sharpened half of the knife and the grip which is not sharpened. The purpose of the grip is to allow the knife to be safely handled by the user and also to balance the weight of the blade. We now have world war knives that are authentically detailed and fully functional. These knives are made for military collectors and WWII re-enactors. We have German trench knives and daggers that are made by CAS Iberia and Windlass. World War II knives come with a sheath and are very affordable. These trench knives are intended for close quarter fighting whether on the field or in the trenches. 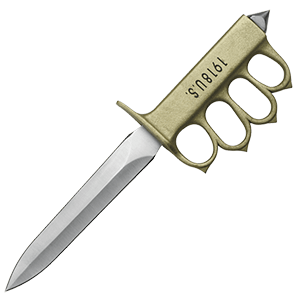 The trench knife originated during the first World War. Surprisingly or unsurprisingly knives make for great collectibles. Just like with any sort of weapon, there are dozens of different types and variations, simply because in todays society, there are millions, if not billions of people, all of whom want a knife to suit their needs and tastes. This means that there are literally millions of knives that likely exist to suit each and every need perfectly. And just like any great collectible, there has to be a manner to display it properly, because leaving a bunch of knives to sit around is not properly displaying a collection. 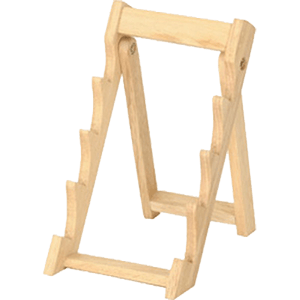 Thankfully, we offer a fantastic assortment knife displays that are great for displaying your knife collection. This much is doubly true even if you are not, technically, a collector; if you just have a lot of knives, then many of our knife displays are still right for you. In fact, our display boxes are almost perfect for you; you can store your knives away from unwanted use and abuse, and take them out only when you have need of them. Another plus is that if you put your knives into a display box, you will always know where they are. And if you are an actual knife collector, we also have several different stands that hold between one and six fixed-blade knives, so that your beautiful collectors pieces can be out and available for anyone to marvel over. Collectible knives - who would have thought? We did, which is why we offer so many different knife displays. Sheaths are a great accessory to add to almost any knife; not only do they add protection to the knife in question but they are also fantastic visual accessories in their own right. 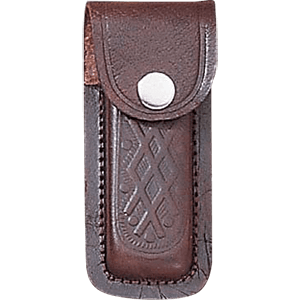 Its not uncommon, in fact, for a knifes sheath to be just as attractive the knife itself is especially when you consider that more often than not, the knife sheath is the first part of the knife you see. We carry an assortment of knife sheaths, many of which are great for storing all sorts of folding knives. Of course each and every one of our knife sheaths is functional, and each one is also an extremely handsome item as well. They are masterfully stitched around the edges, and serve more than adequately when used to store and secure any folding knife. Several of our knife sheaths are general purpose; so long as the sheath is the appropriate size, your knives will fit. A few of our knife sheaths, though, are rather specific in design and fit only a specific shape. So if you are going to acquire one of our tasteful knife sheaths, make sure you double-check your measurements and your knives to ensure that you get the exact sheath you, and your knives, need. Such a great idea, and wonderful execution. I've always prefered carrying things on a belt than in a purse, and these little bottles are perfect.